When I was in the Rebel Penguin Federation this July, I had suspicions about RPF multilogging. I knew that we were probably doing a little better than we should be doing, given how ineffective recruiting is these days. Then I heard from several RPF veterans that RPF leader Silverburg was multilogging for RPF. At first I was very skeptical, but as I looked deeper into it, I began to believe it myself. 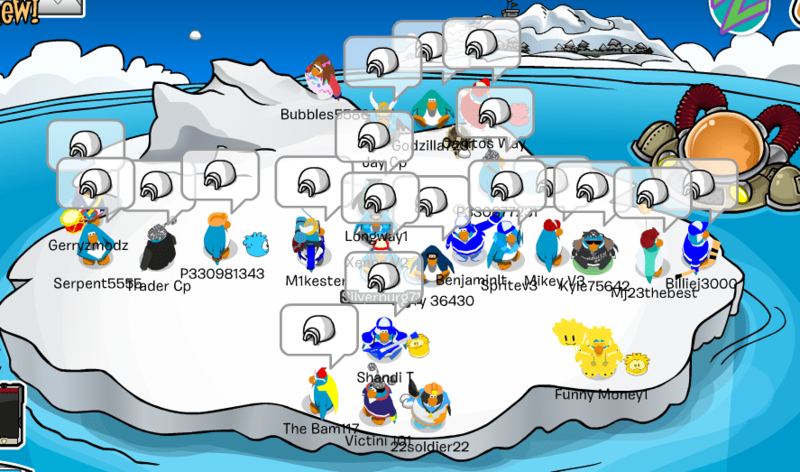 In the following post, I will discuss several penguins that I believe might be multilogs for RPF. Cypriot123 is someone who no one knows. He first appears in SWAT, an army that has been infamous in recent years for multilogging, last October, when Badboy is leading. He appears at events where it is known for a fact that SWAT multilogged. Cypriot123 at spooky Ausia training on October 27th 2015, bottom left. It is known for a fact that SWAT multilogged at this event. A list of known SWAT multilogs. You can see many of them at the above event. Cypriot123 then appears in Night Warriors in May of this year, when Taco is leading. Taco retires from NW on June 1st. He and Badboy join the Fire Warriors as leaders on July 18th. Cypriot123 then joins the Fire Warriors, appearing at the one event they had before they shut down, on July 19th. On July 23rd, FW merges into the Rebel Penguin Federation, and Taco and Bad join RPF for leader. Cypriot123 joins RPF soon after, appearing at Operation Silverbird on July 30th 2016, the Invasion of Matterhorn on August 1st, and the Ausia Invasion of Blizzard on August 3rd. In this video made by Elmikey, a user with the name Cypriot_RPF_Highest_Member is seen talking on chat. This is probably just Taco trying hard to make Cypriot123 seem like a real person. Cypriot123 was formerly listed on the RPF ranks as a private first class, but was removed. So Cypriot123 has been around since last October and has been involved in four different armies, but no one knows who he is? And the only armies he’s involved in happen to be armies led by Taco or Bad? And Taco is present at every event Cypriot123 attends? Given his history of multilogging, it should not be hard to believe that Cypriot123 is Taco’s multilog. Handsome90 is listed on the ranks as a corporal. He attended events between August 2nd and August 10th. He was also in Fire Warriors this July, an army that was suspected of multilogging. I know that FW merged into RPF, but the fact is, FW didn’t have many recruits, as they only had one event before they shut down. Handsome90 is someone who no one knows. He only wears nonmember items that are available via item adders. The number 90 probably comes from Ganger 90, who was leader of SWAT, which Badboy and Taco were also leaders of. He can actually be associated with Cypriot123, as both of them attended FW’s only event, during which multilogging is believed to have occurred. They only had one event before they shut down, so they had little to lose by multilogging in it. Handsome90 is probably a multilog. Chikachikawo is listed on the ranks as a private. As you can tell from his ID, Chikachikawo was created recently, either in July or August. He appears at some events before his name is approved. I can tell they are the same penguin because they are wearing the same exact outfit, and he has the same red puffle with him. He has a yellow belt in card jitsu, but apparently he can’t be bothered to earn more than 5 stamps. He has been attending events since August 8th. There is no one on chat with his name. Apparently RPF doesn’t promote privates who consistently attend events. Fire Frost 0 first appears on August 11th. He is not wearing any items at all, and has only one stamp. Popsiclebeak has been attending events since August 9th. He stays up late to attend Ausia events. That’s a lot of initiative for an unknown member. But he’s still a private on the ranks? He’s been attending events since August 9th but he’s not on the ranks. He stays up late to attend Ausia events as well. He’s been attending events since August 6th but he’s not on the ranks. He’s been attending events with both of his penguins, and he comments on the site, but neither of his names are on the ranks? Snakes8585 has been consistently attending events since July 30th, but has not been identified with anyone on chat; there is no one on RPF chat with the name snakes. He’s not on the ranks either. His penguin wears the red baseball cap that is given to all new players, and the teal tee, which can be bought by nonmembers in the gift shop, and has only one stamp. P334574245 has been consistently attending events, both Ausia and EST, since August 7th. He wears only the red baseball cap and has only two stamps. He is not on the ranks. After a room change, Snakes8585 and P334574245 are still seen in the room, suggesting they may be a multilogs. This was on August 11th, at the battle of Downhill. Kakashi Yay is again someone who no one knows, and who appeared in RPF last July, and disappeared shortly after. I remember speaking to Kakashi Yay last July, and I remember him acting a lot like Silverburg. He certainly did not act like a new recruit. According to Drake from NW, Kakashi Yay could be linked to Silverburg’s obsession with Naruto. 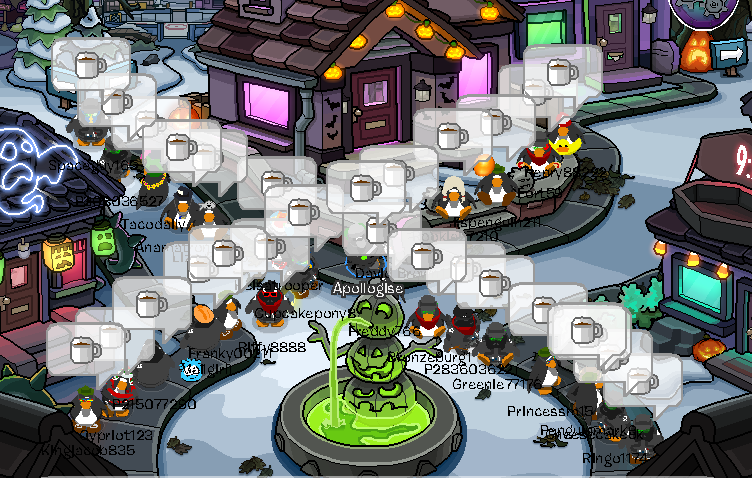 What I think happened is that Drake saw Kakashi Yay logged on cp at one of RPF’s events, but didn’t see him on chat. Suspecting he was a multilog, Drake pointed this out to Silverburg, who then attempted to cover up his multilogging by pretending to be Kakashi Yay on chat. Drake briefly discusses Kakashi Yay in this post. Ratboy is known to be Silverburg’s multilog. Here is Drake’s proof. If Silverburg is willing to multilog on Ratboy, there is a good chance that he’s going to multilog on other penguins. Mj23thebest first appears at an Ice Warriors event on June 26th, when Silverburg is leading. He appears at three more IW events after that, taking place on the 27th, the 29th, and the 30th. IW does not have any more events that are posted after that. Silverburg then quits IW to return to RPF on July 4th. Mj23thebest then appears at an RPF event on July 6th, which is the first event RPF has after Silverburg’s return. Mj23thebest from then on attends almost every event until July 22nd. While it is true that many troops who were in IW migrated to RPF, the fact is, this process was not instantaneous. Mj23thebest was literally seen at the first RPF event after Silverburg’s return. Not only that, but no one on xat has claimed to be him. Add to that the fact that Mj23thebest is always seen wearing the teal tee and the up sweep, two nonmember items that can be bought at the gift shop, and that according to Joffrey this penguin was created in mid June of this year, it should not be hard to believe that he is Silverburg’s multilog. This is one of the more detailed posts I’ve seen. Provided evidence in a clear format. 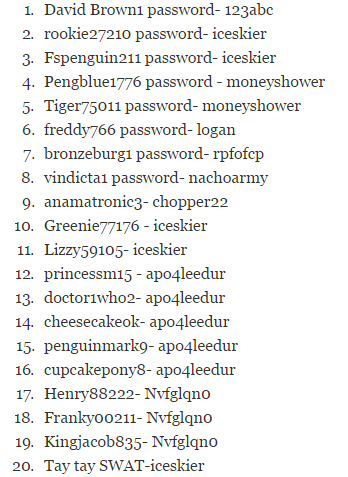 You should include Joffrey’s post of many penguin ids made 2 weeks prior. Ratboy’s xat registration date is very recent. Similar to Badboy’s Hungrybunny xat id who he later admitted was him. Unfortunately, I don’t think CPAC will be pursuing this any further.